There are currently no setups for XREasternCreek. Add a Setup. I consider it to be their flagship circuit. 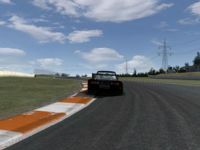 It is not only the biggest but comprises a wide range of complexity utilizing high, mid and low speed corners, undulating just enough to give the track a smooth flowing feeling whilst creating a good atmosphere. Hi, very new to this but hoping u could point me in the right direction. It looks like it's been snowing. A small amount of grass on edge of track then all white. Is this normal? Oh one other thing, if you're planning to release an update the AI cars aren't starting with enough fuel on the traditional layout. Very nice job! It's great to finally have a good version of this track. The undulation seems realistic and great to have all 4 layouts. Only thing that I see as an issue is some AI cars are rolling over on the long track. Other than that fantastic work. Thanks! Hi RR1CHO, please note, you submitted this as Version 0.1, and we emailed you for clarification but the email was bounced back. The track looks great so we figured you meant it was V1.0 and released it accordingly. If that's not the case, please let us know. Cheers!